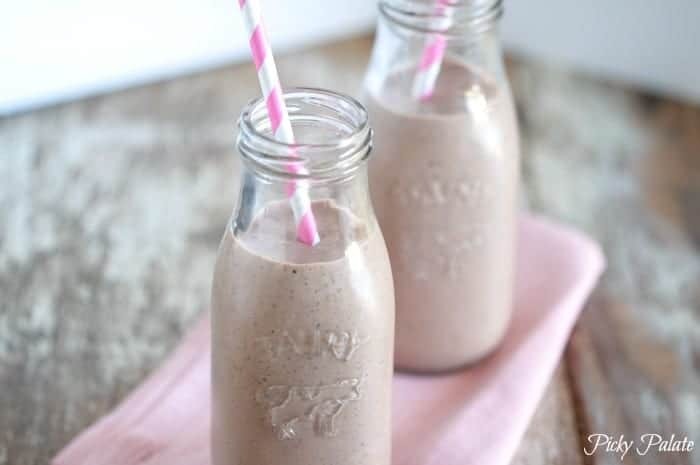 This healthy Chia, Dark Chocolate and Mint Shake is great any time of the day! 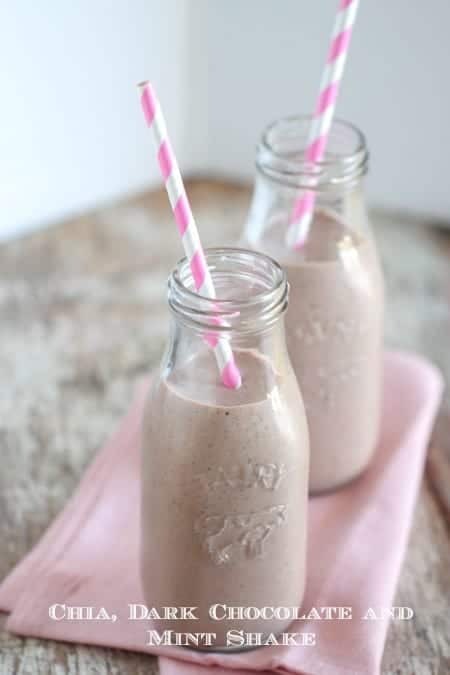 Is there anything better than a guilt-free delicious shake? I think not 🙂 I’ve got a great recipe and new cookbook to share with you today that I think you are going to love! 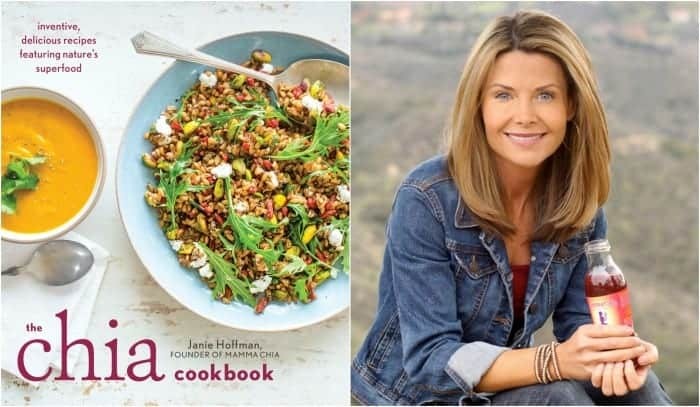 I am thrilled to share a new cookbook called The Chia Cookbook by Janie Hoffman. She is the founder and CEO of Mamma Chia, an organic line of chia-based foods and beverages. She has been featured in the New York Times, O magazine, Everyday with Rachel Ray, Details, Vogue, Real Simple, Prevention, Glamour, and the Today show. As you read through the recipes in this book, you’ll see that it’s possible to incorporate chia into everything, and I mean everything—breakfast foods, soups, salads, cocktails, main dishes, desserts. 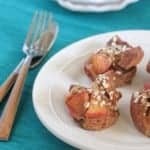 My husband and I have been enjoying chia for the last couple years so I was anxious to try out Janie’s new book! When we lived in Newport Beach, we had a Whole Foods Market right by our house and we would pick up Mama Chia drinks every time we would grocery shop. They are my favorite! I was immediately drawn to this Chia, Dark Chocolate and Mint Shake in the Chia Cookbook. All of my favorite flavors! It could not be more simple to prepare which is always a plus. Chia is a powerful little seed with incredible health benefits. In this mouthwatering recipe collection, you’ll learn the secrets of incorporating this ancient superfood into modern meals from breakfast to dinner and happy hour to dessert. 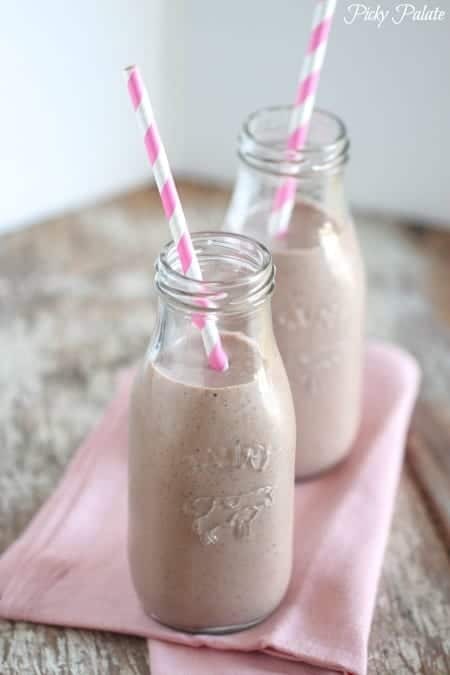 Hope you enjoy this fun and healthy shake! Chill two tall glasses. In a liquid measuring cup or small bowl, stir together the coconut milk beverage and chia seeds and let stand 20 minutes. Place the coconut-chia gel, cocoa powder, frozen yogurt, honey and peppermint extract in a bleder. Cover and puree until smooth. Pour into the chilled glasses and serve. Jenny, this sounds so refreshing! I love using chia seeds, but hadn’t ever thought about incorporating them into a shake. 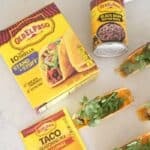 Thanks for sharing; we will be making this! We love chia smoothies!! And although I add cocoa powder all the time I never add peppermint extract – that needs to change!! I recently jumped on the chia train and am never getting off! What a great cookbook theme, and I love healthy desserts like this. Keeper! It is always a plus when you can combine healthy ingredients with chocolate! What a great use for chia. Love the mint too! Mmmm sounds lovely -such a great flavour combination! Oh, what a fun way to use chia seeds! Love it! 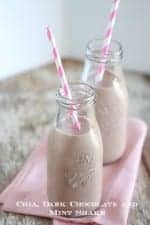 I need to jump on the chia bandwagon…especially if I get to enjoy chocolate mint shakes with a healthy twist!! How do I freeze yogurt so I can use my magic bullet?! Won’t it freeze too solid?? What a creative drink! I love it! I adore chia! And the touch of mint sounds super refreshing in this drink. Chia rocks!! I sprinkle it on my oatmeal every morning! But these shakes, forget about it! Love! Regarding the Chia, chocolate, and Mint shake: Is the frozen yogurt, the “ice cream” type, or do you just freeze a cup of vanilla yogurt like you get in the yogurt department? Evolve Vapors USA is the only luxury vaping brand in India officially selling vaping devices which focuses to help people to switch from smoking to vaping in 48-72 hours guaranteed. Evovle Vapors has its own Internal flavor manufacturing lab in California with 30+ flavors available. Bid farewell to all mundane flavors like Apple, kiwi, paan, etc. and say hello to Strawberry cheese cake, grape-ojello, Chocolate caramel fudge and vanilla kappa to name a few. It sounds so yum! Thank you for sharing the recipe! It’s so hot today 😀 Gonna try this milkshake. time will state how good you are likely to be at like a bass player in a band. inaugural season was hosted with the Indian actor Arshad Warsi. Incredible post! I am really getting readied to over these subtle elements, is exceptionally valuable my mate. Additionally brilliant weblog here with the majority of the valuable points of interest you have. Keep up the really astounding perform you are doing here.